TLC is going to Paris! 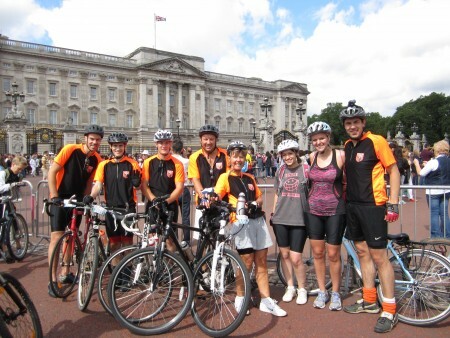 TLC are proud to announce that Graham, Annette and Neal will be cycling from London to Paris, later this month. They will be taking part in the event along with seven others, as part of Team TG – formerly known as Turnford Geese Football Club. The ride is in aid of the Isabel Hospice, who cared for the club’s football manager, before he sadly passed away a couple of years ago. Details of how to sponsor the team can be found on the Team TG web site, which also features various videos, blogs and details of the team. The Letterbox Consultancy have pledged their support for the event, and we’d welcome you to sponsor Team TG for a tough event and a fantastic cause.